Long ago, I went to the inaugural reading at a downtown arts space in Flagstaff, AZ. The place wasn’t much more than an unfinished basement with some chairs set up all facing one direction and a clip-on work light hanging up so the readers could see what was on the page. I don’t remember there being a cover—surely I would’ve skipped the event, if there were—and I don’t remember anything being for sale. I do remember a ramshackle room in the back where the guy running the space clearly lived. There also seemed to be an unspoken openness to shaggy guys like me bringing my own 40 to the reading. The guy who read first was a big, palooka-looking dude whom I’d hung out with a couple of times. I wasn’t too sure about the guy. He seemed to have a taste for whiskey and the trouble that tends to accompany it. I also knew he was a big Thomas Pynchon fan. And that was about all I knew of him. Pynchon and whiskey. Not the most auspicious start, but surely a common enough one to seem almost cliché among white, male, American writers. It cracked me up. I don’t know why. I also decided the dude was nuts and I should stay away. Nearly twenty years later, this same guy opened up my book release for Madhouse Fog. I’ve seen him read dozens of times, set up several of his shows, read at several shows he’s set up. I’ve regularly attended his Vermin series. I worked with Gorsky Press to publish his collection of short stories, Big Lonesome. I’ve read all seventy-something columns he’s written for Razorcake. I’ve forgotten to tell a few incriminating stories about him in the hope that he’ll forget to tell a few incriminating stories about me. You spend a couple years of your life trying to start a punk rock magazine. You live in poverty so pure that you start looking up the definition of the word “abject.” You do your grocery shopping at the 99-cent store. You wonder if you can splurge that week on the baked beans or if you have to stick with Top Ramen because it’s cheaper. The magazine finally catches on. It becomes one of the two biggest punk rock rags in the nation. Years pass. You have a new book coming out. The very magazine you co-founded posts an announcement about your book release. Some snot-nosed punk writes about it and does nothing but make fun of you. What do you do? You state your response publicly. Like this: Matt Hart, you have become my nemesis. Make sure you see me coming before I see you. 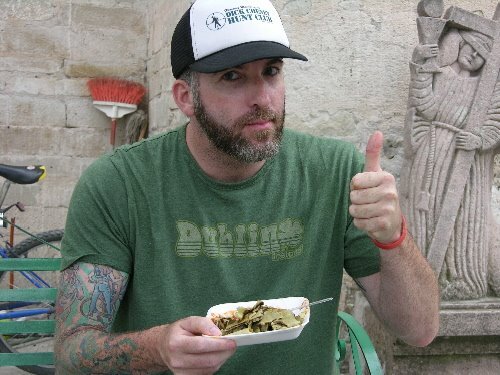 Actually, I thought Matt’s piece on the Razorcake web site was pretty cool. You can click that link above or the flyer to read it. It also serves as yet one more reminder of my book release at Skylight this Friday. The protagonist of Madhouse Fog names his dog Clint Dempsey. The dog is kind of a mystery in the book, and I won’t solve the mystery here. I will talk about his name, though. 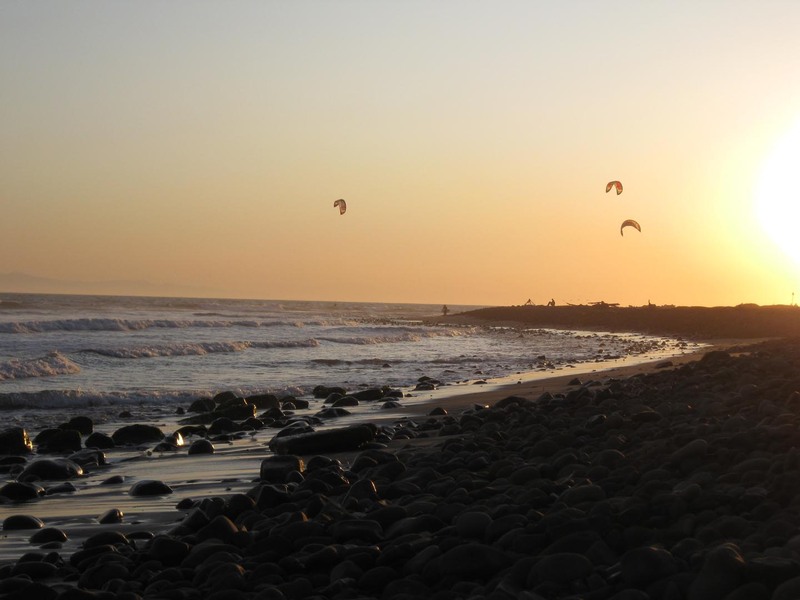 I started writing the novel in January, 2007. At the time, the 2006 World Cup was still fresh in my mind. For American soccer fans, the ’06 World Cup was a little bit of a disappointment. We didn’t win a single game. We tied Italy, which was pretty good, but we lost to the Czech Republic and Ghana. Our national team coach, Bruce Arena, got fired because of this lackluster performance. For me, the high point of the whole tournament came at the end of the US/Ghana game. The US were down 2-0. It was pretty clear we were going to be eliminated from the tournament. Arena subbed in a young player named Clint Dempsey, hopefully to generate an offensive spark. Dempsey did manage to score a beautiful goal, then do a ridiculous dance to celebrate. Of course, the goal came too late. Every time I watch it on YouTube (which is more than I should admit in a public forum), I feel like the US still has a chance. You can watch the goal, too. When I was writing the book, Clint Dempsey was still an upstart, a 24-year-old prospect. I had visions of finishing the book, declaring it genius, and getting it published before Clint Dempsey really made a name for himself. Unfortunately, it took me another six years to finish the draft, go through all the revisions, get the book published, and have it released. At one point during the writing, I’d traded drafts of books with a writer friend of mine named Justin Bryant. Justin’s a soccer fan also. We talked about my early Madhouse draft during the 2009 Confederations Cup. Justin was bagging on Clint Dempsey, who’d played poorly in the early games of the tournament. Justin even tried to convince me to change the dog’s name. Now, here we are on the original “release date” of Madhouse Fog. It’s a kind of anti-climactic release date because, well, the book is already available in most stores and the book release party isn’t for ten days. I’ll spend the evening of my release date watching soccer. On the bright side, the Madhouse Dog’s namesake will be playing in a World Cup qualifier against Panama. He’s now the captain of the US Men’s National Team. 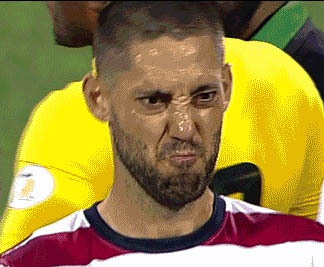 All of my early enthusiasm about Clint Dempsey as a player is coming to fruition. Leander Schaerlaeckens wrote a great piece about him this morning. If my ramblings about Clint Dempsey aren’t enough, you can read this article. 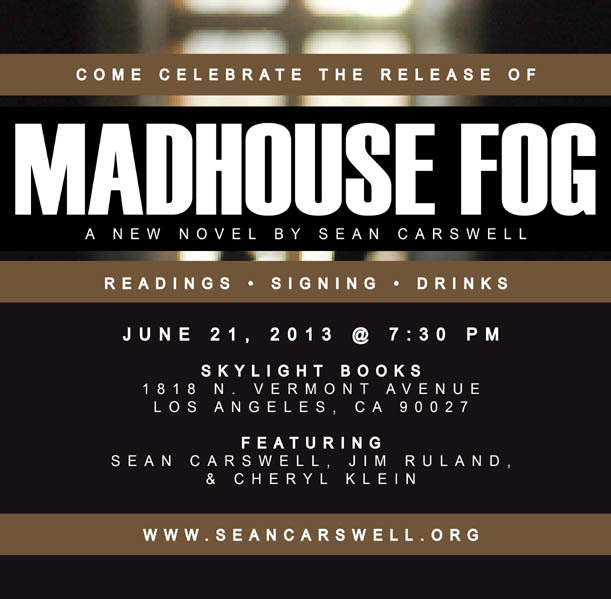 On June 21, Skylight Books in Los Feliz will host a book release event for Madhouse Fog. I’ll talk more about the event as it gets closer. Before I do, I’m going to talk about why I love Skylight. 1. I was there last week, buying a couple of books that I’d had my eye out for but hadn’t seen in bookstores yet. Of course, I know that I can buy books online any time I want. Usually, books are cheaper online. But I’m picky about books. I don’t want a used copies that the last reader smeared with chocolate stains (chocolate being the hopeful interpretation of a brown smudge). I don’t want smelly books or dogeared books or books with annotations from students who write exactly what the professor tells them to in the margins. I want brand new books that I can pour my energy into. I want to see and hold the book before I buy it, if at all possible. Skylight makes that possible. I carry around a mental list of books I want. Skylight always has more books on that list than I have money to spend. 2. As I was paying for those books last week, the guy at the counter saw my Razorcake shirt and told me that they were hosting an event with Razorcake on June 21. He told me I should come. Of course, I’ll come. The event is my book release. And nothing makes you feel more hopeful about an event than a bookstore employee plugging it a month in advance. 3. That was almost as cool as the time several years ago when I was buying books at Skylight with my debit card. The woman behind the counter recognized my name on the card and said, “We carry a couple of books by a guy named Sean Carswell. Are you that guy?” I said I was. She asked me to sign the copies in stock. I did, feeling like a big-time guy with every stroke of the pen. 4. The next time I went into Skylight after that incident, my signed copies had sold. Skylight reordered the books, and new copies were on the shelves. If only every bookstore were Skylight.